We are affiliated to the Chamber of Commerce and have an active membership of circa 350 businesses from across all industry sectors within the National Park. The Cairngorm Business Partnership is a strong, inclusive and influential voice for the business community across the National Park, working to support the business infrastructure and services which underpin a strong and vibrant economy and visitor experience at the centre of a world class National Park, where people aspire to work, visit and reside within the stunning natural landscape of the Park and its vibrant communities. 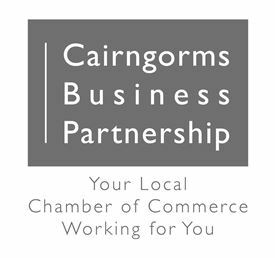 The Cairngorm Business Partnership exists to represent, promote and support the business community within the National Park area, involving advocacy for business interests, the development of the business, innovation and skills base, and the delivery of a range of projects, services and benefits for its members and the wider business community of the National Park. We also recognise and seek to reflect the aspirations of the Scottish Business Pledge in our work. In doing so, we recognise the importance and impact of key areas such as innovation, gender balance and youth opportunity, and particularly, active engagement with the community.